Brilliant golden manicure. 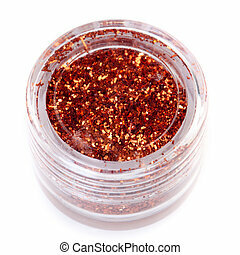 Brilliant golden manicure with red lacquer on the end of the nail. 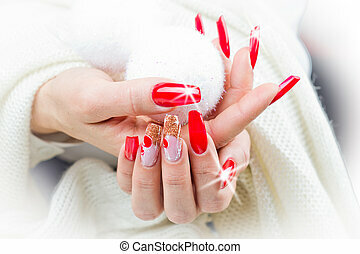 Brilliant Golden manicure with red lacquer on the end of the nail. 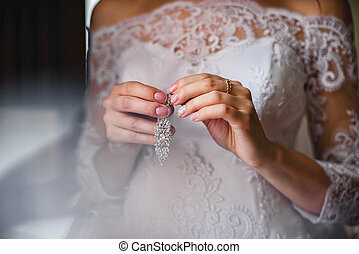 Golden maroon French manicure on woman's hands are rectangular. Golden brown French manicure with black stripes on the background of the accessory. 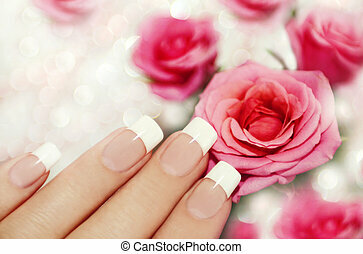 French manicure on a woman's hand with pink roses on a brilliant background. 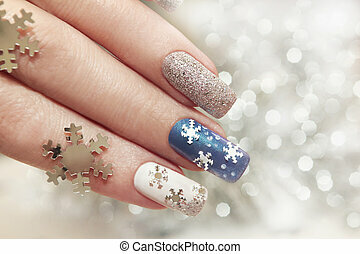 Snow manicure on colored nail Polish with silver snowflakes on a brilliant background. 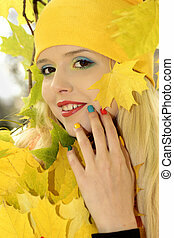 Young beautiful blonde girl with long hair with colorful makeup and manicure Golden autumn. 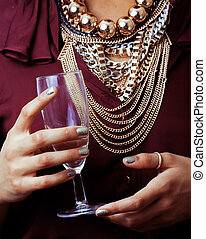 Gold manicure with rhinestones, chain and textured with snake on girl blonde with Golden lashes. Snow manicure with the design of the white crumbs on violet brilliant varnish for the nails. 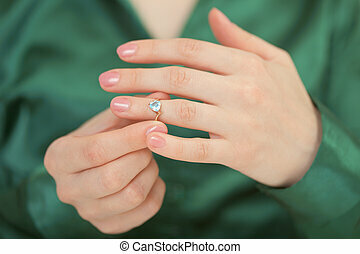 Green manicure with a brilliant gold lacquer on oval shaped nails with the accessory in hand. 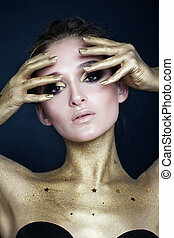 Caviar manicure in yellow black nails with black and gold rhinestones on a brilliant background.